There’s nothing like a little controversy to keep life interesting, no? Well, that was never my intention back in March this year when I shared some photos and documented my experiences after my first visit to Newfoundland and Labrador. What I wrote along with the photos, like all my other articles, was simply my views and perceptions at the time. My views, opinions and perceptions are always based on my own experiences – sometimes those are negative experiences, but usually they are positive ones. I’ve learned from my blog that you can never control if people get offended, nor can you control how they feel when reading your articles. So I’m very careful to always write things in such a way that it’s clear that it’s nothing more than my opinion at the time, and absolutely never malicious. But, like I said, you can never control other people, nor do you have any guarantee of how they’ll perceive your opinions. that’s the whole point to a blog, isn’t it? To encourage discussion (via the comments)…? In late September I was contacted about some of my articles on Newfoundland and Labrador. It was a situation where my words were grossly misinterpreted, taken completely out of context and then hugely blown out of proportion – and a situation where a very tiny minority of people were trying to make a big fuss about nothing… It was very hard for me to understand. So I can definitely tell you where traffic to my blog comes from, a plethora of details about every visitor to my sites, what my most popular articles are, how many readers I have (on average), if/when there is any substantial (or even noticeable) increase in traffic, etc, etc. So that’s why I said "it was a situation where a very tiny minority of people were trying to make a big fuss about nothing…"
It likely comes as no surprise, then, that my blog doesn’t have the traffic nor impact that a site like Facebook does, nor does it even have that potential. (If it did, I would be blogging a lot more often and much more consistently, no?) Granted, I am trying to blog a lot more often now, but the fact that my blog doesn’t focus on any particular topic means I can never expect to have that kind of reach. (Personal blogs are no match, ever, for blogs about only one specific topic…) But my intention with blogging was never about reaching tons of people – it was always just about sharing my views and hopefully encouraging discussion along the way. 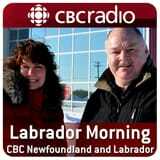 I was recently looking for something on Google, and stumbled across a CBC Labrador Morning podcast from September 22, 2010 that mentions my name and my blog. I was surprised to find it, and surprised that CBC would even take the time to make a ten minute podcast about a single blogger’s opinion. But after listening to the first thirty seconds of the podcast, it all started to make sense. The CBC "reporter" is Mike Power – who is a long-time friend of the bandleader from the tour, Randal Arsenault. The cabin we stayed at on Duley Lake belonged to Mike Power’s brother. They’re tight. I have emails from both brothers that were forwarded to me when this whole thing started, and now with this podcast in the mix, they make a lot more sense… Pieces to the puzzle. I was shocked that CBC would even deem this newsworthy enough to make a ten minute podcast out of it, but you can tell from the podcast that the reporter’s intentions are all about clearing the name of his good friend, the bandleader, and trying to help salvage his reputation – a reputation that could only have been created by taking my blogs way out of context in the first place; it’s not at all about actually providing an unbiased news report. One hand washes the other? Hm. Of course, a lot of the things I wrote were taken grossly out of context and words were mixed around a lot. The reporter does make a couple attempts to appear to be unbiased, and sometimes even appears to share both sides of the story, but in reality, there is so much of what I wrote that is not only distorted way out of context, but in some cases, it’s actually completely false and not what I wrote on my blog at all. Think about this for a second: listen to the podcast and notice how many people were asked to comment (there’s a lot). Some were even "prominent" figures and would be hard to get a hold of. The bandleader from this tour was also contacted long distance across five provinces for phone comment (to give him the opportunity to make clear that my opinions are not necessarily shared by his band)… And listen carefully to the podcast – when was the blogger (me) ever contacted for comment? Never. Interesting. it’s also interesting to note that the podcast has since been removed from CBC Labrador Morning’s archives – I was only able to get it using Google’s cache… Other archives are available, but not this one. Anyways, am I bothered by it? No, not at all. Being a musician, I have very thick skin. it’s definitely very biased and there’s a huge conflict of interest there that could have easily been avoided by having any other reporter cover the story. My guess is that any other reporter would have contacted me for comment right away though – that’s a no-brainer. But I also think that any other reporter would have laughed the story off and not even pursued it in the first place, no? CBC Labrador Morning was published on Saturday, October 23, 2010 at 11:20pm EDT by Daniel Menjívar and last updated on April 11, 2018 at 9:30pm UTC .